Nintendo of America has released a new video detailing the upcoming Nintendo World Championships, scheduled to be held next month. The company also revealed Metroid: Samus Returns will be part of the tournament. Check out the video below and press release for more details. The 16 qualifying players will be joined by 8 players invited to compete from across the country and around the world, including WWE Superstar Bayley. Included among the qualifying players are a few dedicated competitors who traveled to multiple locations across the country to secure their spot in the tournament, as well as the winner of the Nintendo World Championships 2015, who earned his way back in to defend his title. The 16 qualifying players will be joined by 8 players invited to compete from across the country and around the world, including talented speed-runners, tournament players and online personalities from the United States, Europe, Canada and Mexico. These invitees include actor and Super Smash Bros. tournament player Asa Butterfield and WWE Superstar Bayley. When the big event kicks off in New York on Oct. 7, it will be hosted by Nintendo fan and online personality Andrea Rene, with play-by-play and analysis by gamer, sports broadcaster and Nintendo fan Jordan Kent. 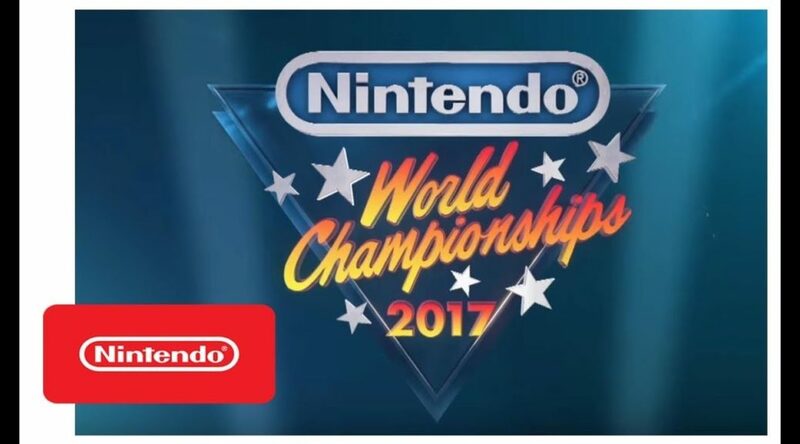 The Nintendo World Championships 2017 event will be livestreamed at https://nwc.nintendo.com starting at 5 p.m. ET/2 p.m. PT on Oct. 7. Fans who are already in New York will have the opportunity to witness all the action in person. A limited number of free tickets will be distributed on a first-come, first-served basis outside Manhattan Center’s Grand Ballroom the day of the event (minors must be accompanied by a parent or guardian).